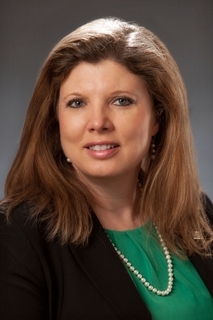 NEWPORT NEWS, Va., June 21, 2013 (GLOBE NEWSWIRE) -- Barb Niland of Huntington Ingalls Industries (NYSE:HII) received a Virginia Business CFO Award on Thursday. Niland, HII's corporate vice president of business management and chief financial officer, was recognized in the publicly traded companies category. "I am honored to work with more than 37,000 of the most talented shipbuilders in the world," Niland said upon receiving the award at the eighth annual CFO Awards Banquet in Richmond. "I am truly honored and humbled to receive such recognition." Niland is the CFO of the largest manufacturing employer in Virginia and one of the state's 23 Fortune 500 companies. She led HII's spin-off from Northrop Grumman Corp. in 2011 and successfully transitioned from a business unit CFO to a public company CFO. "Barb was also responsible for building HII's corporate finance team from scratch," said HII President and CEO Mike Petters. "She had to hire a lot of new people or bring people along and put them in jobs they had not ever been in before. They haven't missed a beat, and that's a tribute to her competence and her skill as a leader. There aren't many CFOs out there like her, and we at HII are lucky to have her." 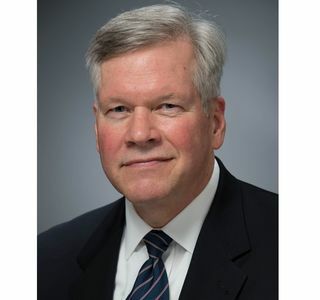 Prior to this position, Niland served as vice president of business management and CFO for Northrop Grumman Shipbuilding (2008-2011) and Northrop Grumman Newport News (2004-2008). She began her career at Westinghouse (later becoming Northrop Grumman Electronic Systems) in 1979 and held a number of financial and business management positions before joining Northrop Grumman Newport News. Virginia Business' editorial staff determined the finalists in each category, and the winners were selected by four of the five winners in the 2012 Virginia CFO Awards. Niland and the winners in the other categories—large and small private companies and large and small nonprofit organizations/government agencies—will be profiled in the August issue of Virginia Business.